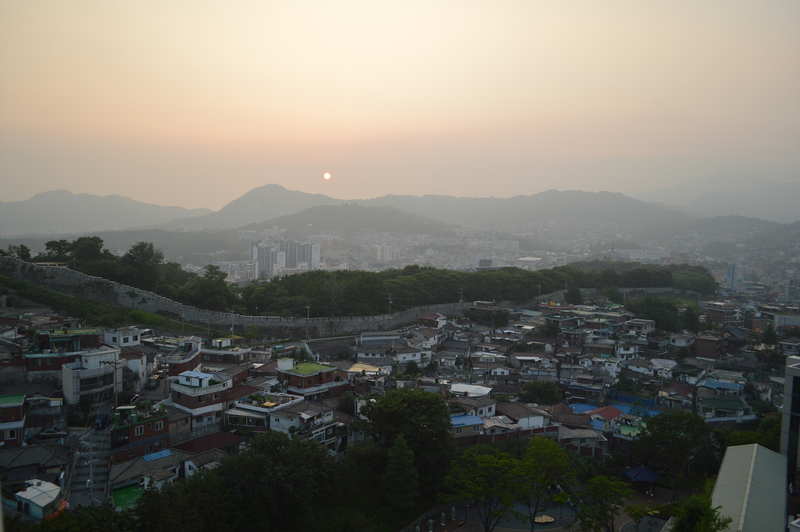 This summer, I had a great opportunity to work at an architecture firm, Guga Urban Architecture, which mostly deals with restoration and refurbishing of Hanok (Korean traditional architecture). 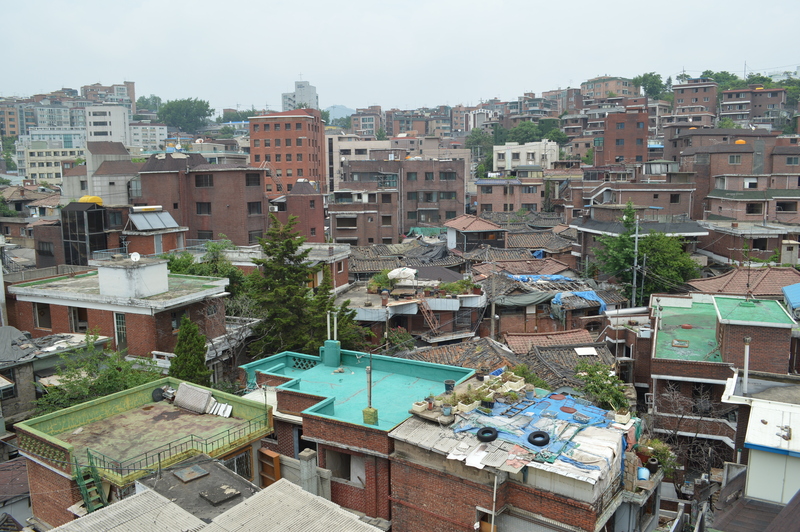 The firm is very much interested in recording and preserving old residential neighborhoods in Korea (mostly Seoul) which have been bulldozed by developers, to ‘rebuild’ an entirely new town with high-rise apartment buildings without any traces of the history of the place. Picture of Gyonamdong, which is now being demolished. 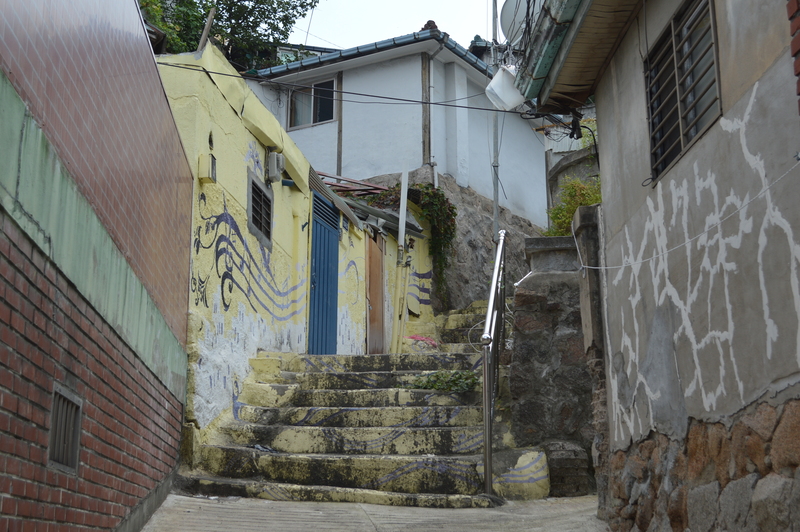 Fortunately, I had a chance to go and record the current state of one of the towns, Gyonam-dong, which will be erased from the map and replaced by new buildings. While measuring and drawing many old buildings of the empty town (all residents moved out), I witnessed the traces of time and memories that had been accumulated over ages, the architecture being the only evidence to such memories. These neighborhoods are being completely demolished and replaced by new buildings because they are considered underdeveloped and the living-conditions do not satisfy the modern expectations and have no significant historic values because many buildings have been modified and the original traditional structures have been compromised according to the needs of the residents. 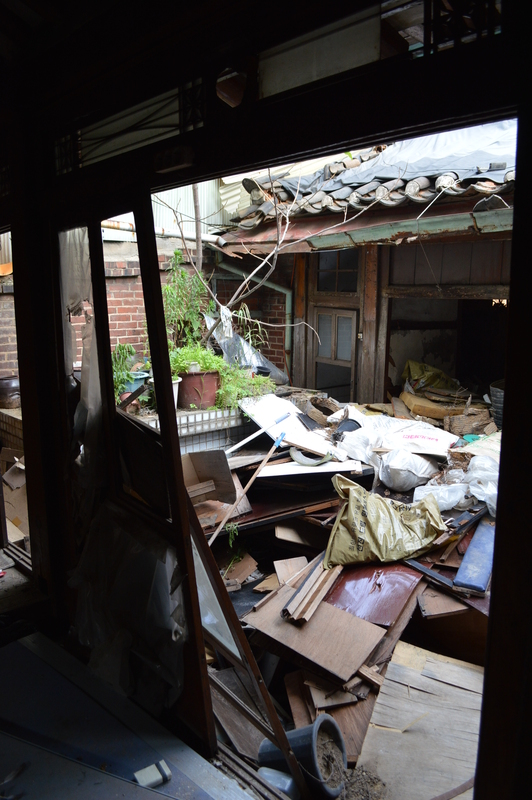 On the other hand, in another town I visited, called Jangsu-maeul, much effort was given to preserve the historic and architectural fabric of the area without total destruction of the town. 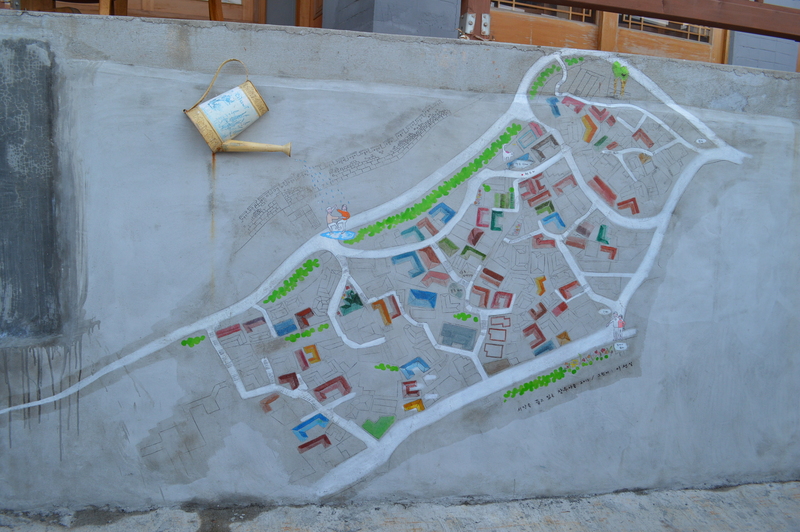 Many volunteers from different fields, such as urban planners, architects, and social workers, got together to communicate with the residents to improve their living conditions while keeping as much as possible. It sure is a slow and demanding process than total reconstruction of the town from an empty plot, but necessary to continue the history and also keep the diversity within the urban fabric. This house in Jangsu-mauel will be renovated (keeping the old structure) to accommodate residents while their house is under construction. This summer internship allowed me to think more about how we, as preservationist, can help preserving the history and memories of residential area without compromising the quality of life of the residents.